Good Morning Lovelies! God Bless America!! Brooke is picking our features this week. I’m so excited! I love the 4th of July. It’s just one of my very most favorite holidays! From the colors to the meaning…it’s just the peak of perfection to me. 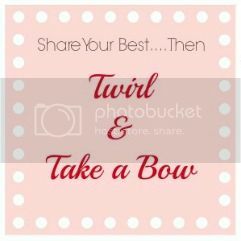 I sure hope you’ll all link up and join us…show us your best…and enjoy looking at all the other projects! Hi, Everyone! For those of you who are new to the party, my name is Brooke and I bog over at DesignedByBH.com. I’d love for you to come visit me sometime, along with all of the other ladies who put on this great party each week! Can you believe that the 4th of July is this week??? This year is flying by so quickly! Do you do anything special for the 4th? My favorite memories of the holiday were spending my summers right after college at my grandparents’ house with my older brothers and their families. We’d cook out, shoot fireworks (it was in South Carolina, so we were able to get the good ones! ), and…best of all…have a Wiffle Ball Homerun Derby. And I’d win every time. Nothing like beating your big brothers at sports while their wives and kids watch. You guys linked up some amazing projects and posts this past week, as always. I wish that you knew how hard it is for us to pick features! 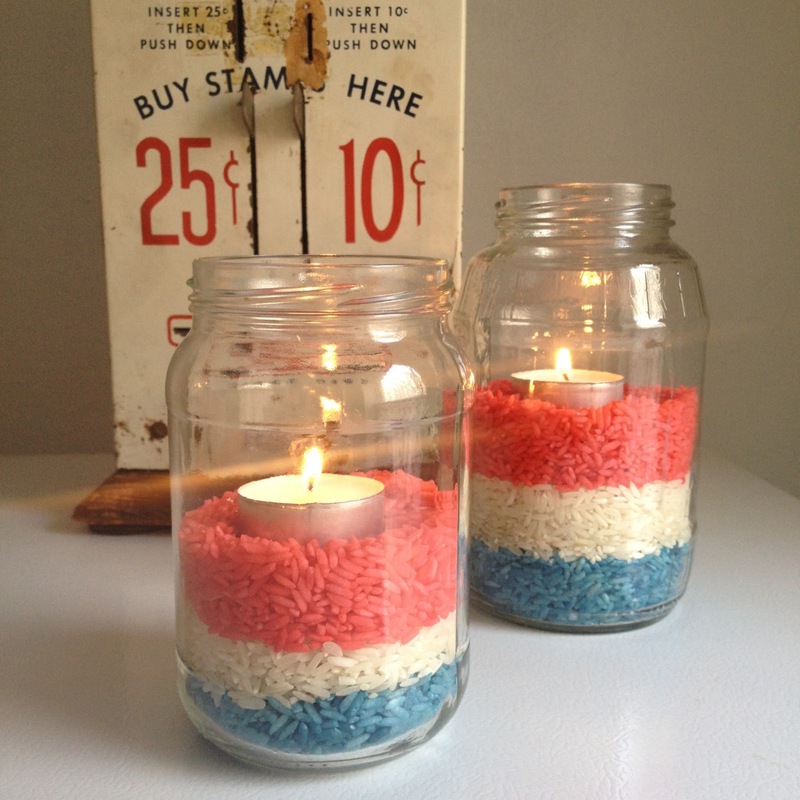 This week, in honor of Independence Day, I picked a few of your Patriotic projects and posts. Again, there were so many good ones that it was really difficult to choose! I absolutely love this Chalkboard Utensil Caddy from Corey at Tiny Sidekick. Can you believe she made it from a cardboard six pack holder? 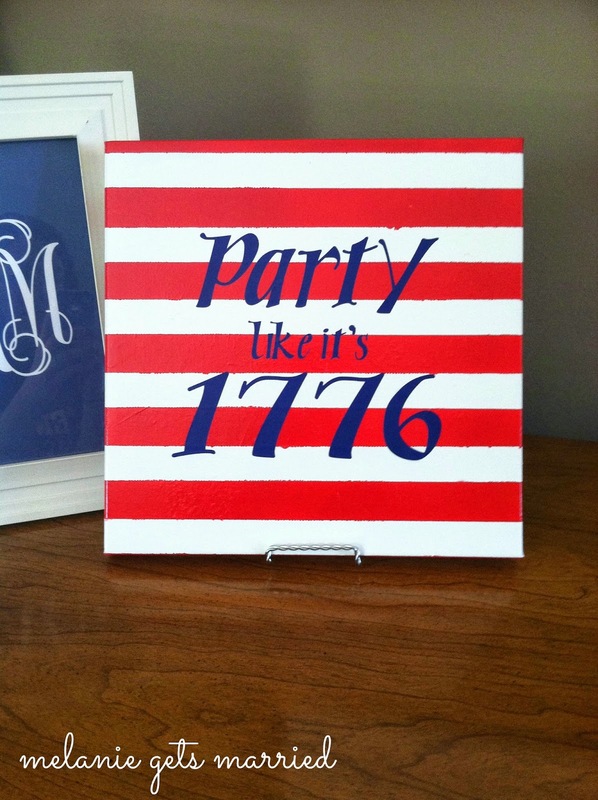 Isn’t this Patriotic Canvas from Melanie Gets Married great? Confessions of a Serial DIYer! would be perfect for a neighborhood picnic. 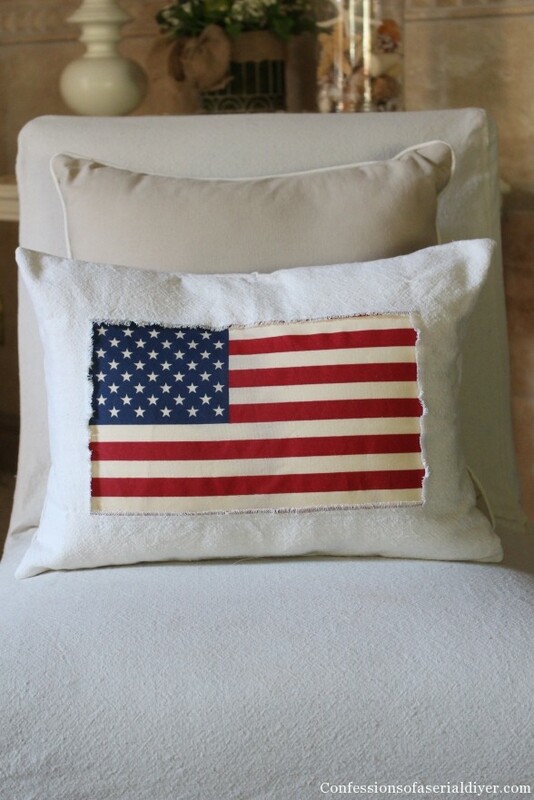 and inexpensive way to decorate for Independence Day. There were so many more great projects linked up that I could seriously keep going…but then we wouldn’t have time for all of your new projects and posts! I can’t wait to see what you’ve been up to, so let’s get to it! Designed by BH, Art is Beauty and A Few Miner Adjustments. *Only home decor & design related crafts, DIY, how-to’s, decorating tips, etc. You get the idea! *No links to shops, Etsy or giveaways. Cookies, Crafts and Quite a nice light! Helpful Decorating Advice From Blogland!